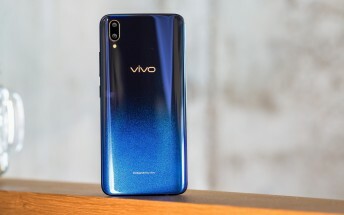 The recently launched vivo V11 Pro just received a software update that improves system stability, performance and introduces a new Smart Launcher similar to Google Now's cards. And even if the changelog doesn't mention anything about it, it enables 4K video recording as well. The patch is just 151MB big and carries a build number 1.7.6. The 4K video recording capability is a nice surprise as the phone's chipset, the Qualcomm Snapdragon 660, is fully capable of capturing high-resolution videos and we were disappointed not to see the option in the first place. Nevertheless, vivo was fast to deliver the feature, but unfortunately, image stabilization isn't supported in this resolution so if EIS is of high importance to you, we suggest you stick to the regular 1080p videos.